Well, there are 34 incredible reasons to say this will be one of the most highly attended occasions this spring! 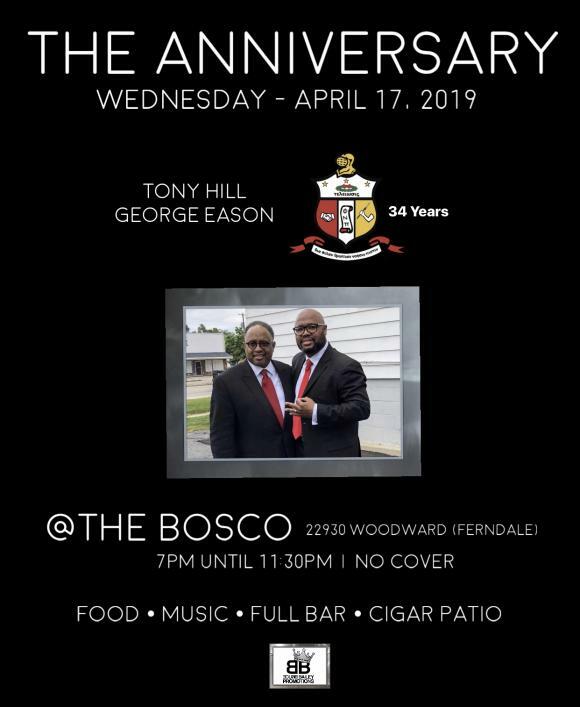 Two of Detroit’s Favorites will be celebrated so make plans now to come out and join the festivities. As always there will be drink specials and an outstanding food menu! Music indoors and the all new covered patio will feature a cigar offering by Monique Henderson. Let’s all come out and support these two brothers – another can’t miss event!